Bajaj unveiled 2 new bikes yesterday(on April 14) in their new Pulsar Adventure Sport product line. One of the bikes being Bajaj Pulsar AS150. 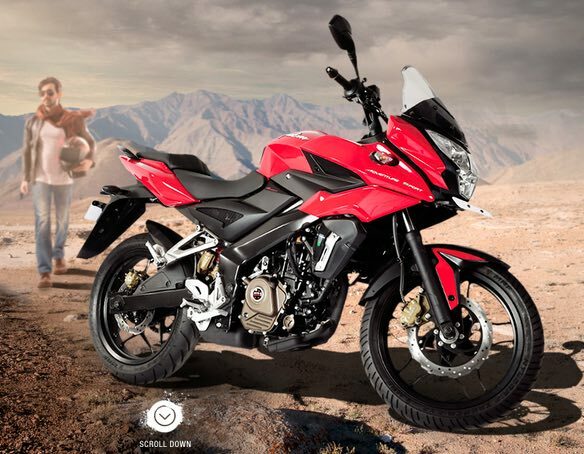 Last month Bajaj released Pulsar RS200 – (RS meaning Racing Sport), this month Bajaj has launched bikes under a new series called “Adventure Sport” – (AS), Bajaj Pulsar AS200 and Bajaj Pulsar AS150. 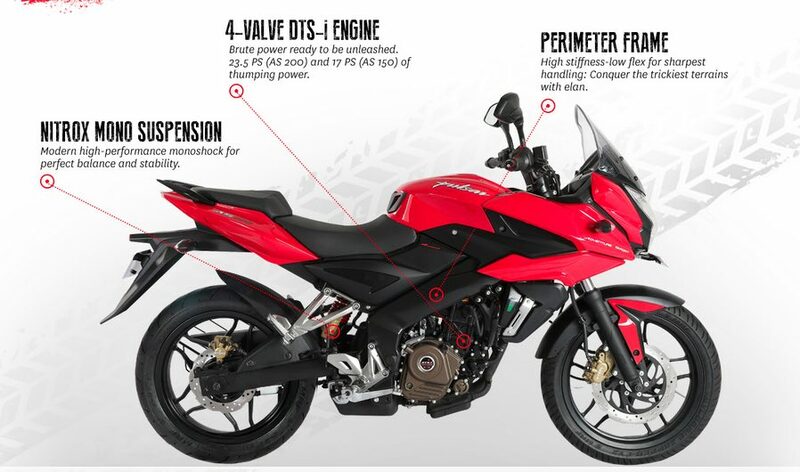 Today, let us have a closer look at Pulsar AS150 and its features. 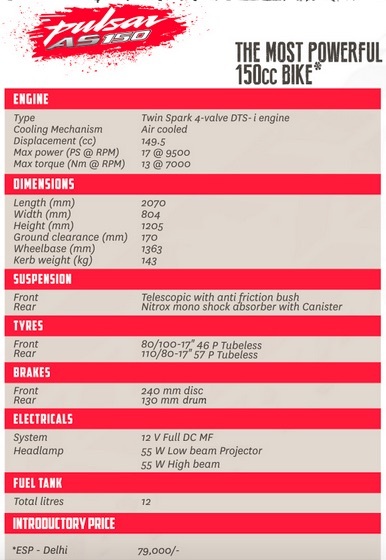 Pulsar 150AS has been termed as “Most Powerful 150cc Bike” by Bajaj.Though it is known tradition that bike manufacturer use superlative buzzwords on their marketing copy, we do think it could attract lot of customers who are looking for powerful bikes in the 150cc segment. The brand “Pulsar” is hugely popular in India, with a super cool series like “Adventure Sport”, Bajaj is trying their best to grab more and more customers in to their basket. Let us have a look at the highlights and specifications of Pulsar 150 Adventure sport. The bike is powered by 150cc air-cooled engine. It is a Twin Spark DTSi engine with a displacement of 149.5cc. The bike can churn out maximum power of 17 PS @ 9500 RPM and gives a maximum torque of 13 Nm @ 7000 RPM. When it comes to suspension system of Pulsar 150AS bike: At front, it has telescopic with anti friction bush and the rear it has nitrox monoshock absorber with canister. Both front and rear tyres of Bajaj Pulsar 150AS are tubeless tyres. The fuel tank capacity of Bajaj Pulsar AS150 is 12 litres. Bajaj Pulsar AS150 has been priced at 79,000 INR (ex-showroom Delhi). Bajaj Pulsar AS150 doesn’t have triple spark technology or liquid cooling system or superior braking which is present in Bajaj Pulsar AS200. You can find more details about Bajaj Pulsar AS on Bajaj’s official product page.